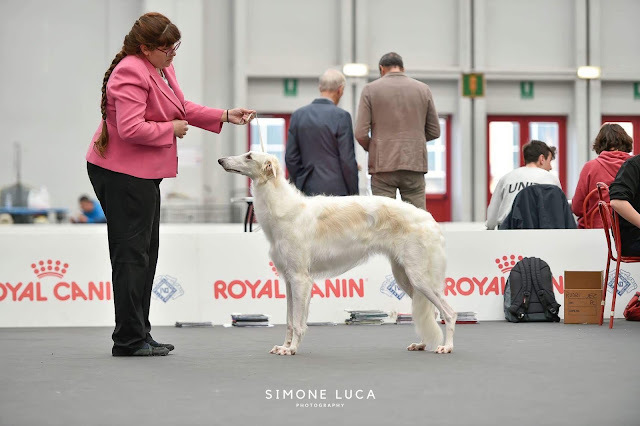 Along with our Spring Club show in Italy, the show hosted by the Slovenian Club for Sighthounds at the beginning of September is one of our favorite shows. 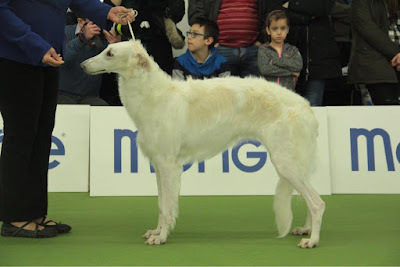 The location is lovely, the weather almost perfect and the panel of judges interesting, all partnered with the warm welcome by the Club members and organizors, which makes the show a "must" for all sighthound afficionados. 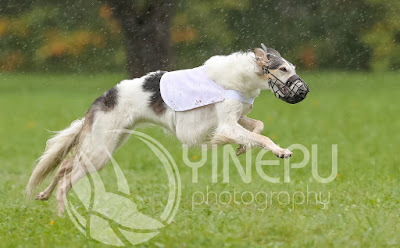 This year we decided to enter the Beauty & Performace event, so we showed dogs on Saturday and coursed them on Sunday. 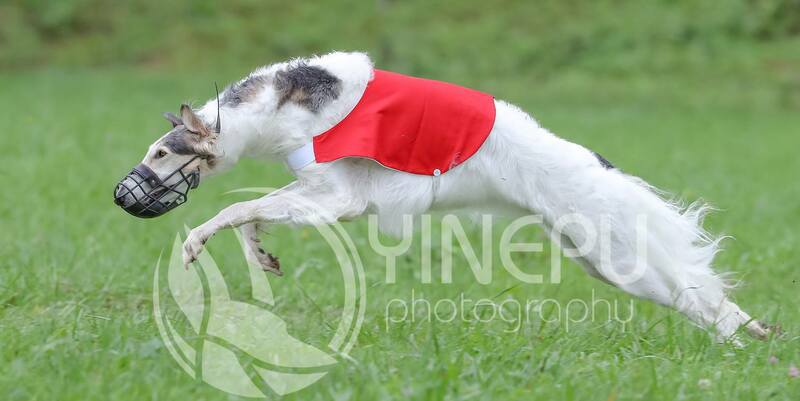 We had a great time with friends and fellow colleagues, will definitively try to enter next year too! 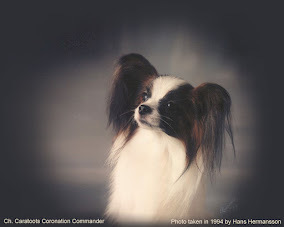 I Have A Dream: exc1, JCAC, JBOB, JBISS2!! Again a pretty lonely trip with only 1 dog entered, our lovely Rose. We had a pretty good weekend, one to remember for sure! IDS Riva del Garda - breed judge Mr. G. Jipping (NL) Rose: exc1, JBOB! 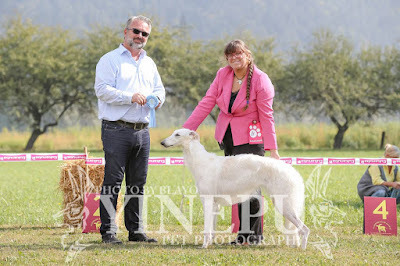 NDS Riva del Garda - breed judge Mrs. T. Urek (SI) group judge Mr. G. Ehrenreich (A) Rose: exc1, JBOB, Best of Breed, Group Third!! Wow what a weekend, I'm still on cloud nine and speechless. It's been a while since we've been to the Reggio Emilia shows, but it's always a pleasure to show there, since usually you win mouthwatering local food like cotechino, prosciutto and other goodies (I'd take a big prosciutto over a rosette anytime lol). 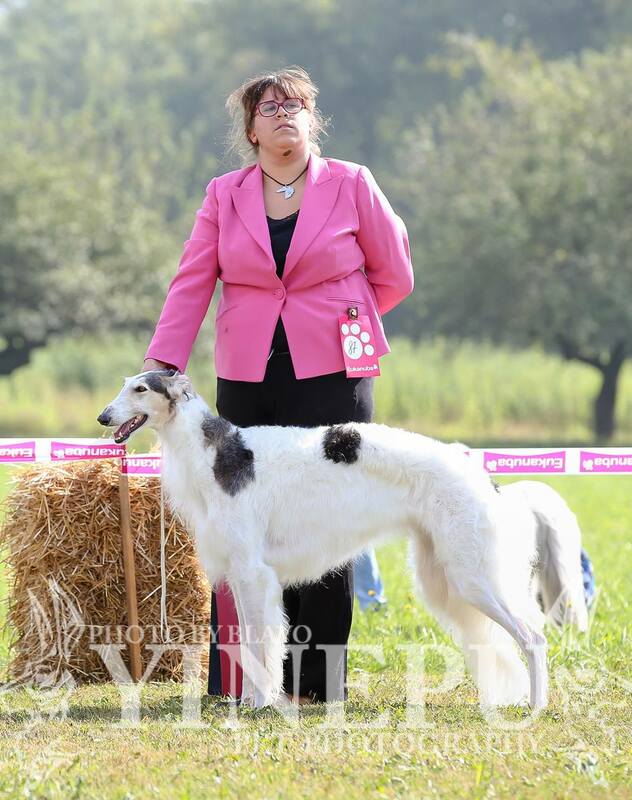 CACIB Piacenza - breed judge Mr. W. G. Umanha Rodriguez (CR) group judge Mr. J. Gregory (USA) Rose: exc1, CAC, CACIB, BOB, Group Third!! 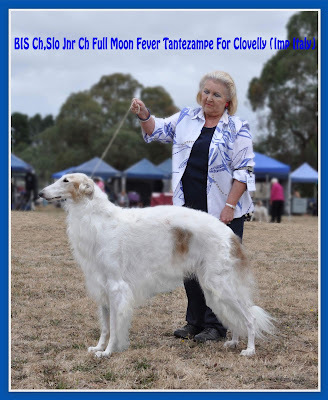 at Tallangatta A&P Society this weekend (judge Mrs. A. Collyer - AUS). 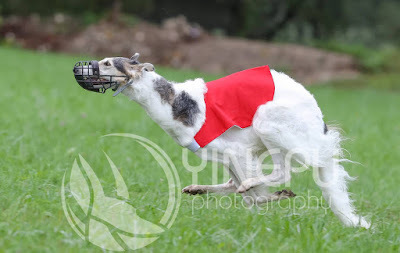 Congratulations to Moonie and his team!